eBSEG™ CEEP™ has been Credit Agricole Egypt’s choice that helped to win Award of Distinction of Global Finance Digital Bank as Best in Mobile Banking in Egypt. 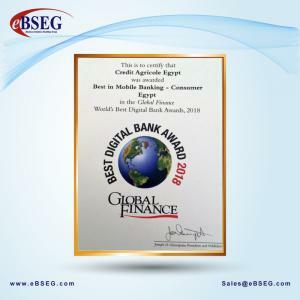 TORONTO, ON, CANADA, April 14, 2019 /EINPresswire.com/ — eBSEG™ CEEP™, the REAL Omni-channel digital banking platform, has been Credit Agricole Egypt’s choice that helped bank to win the Award of Distinction of Global Finance Digital Bank during 2018 as the Best in Mobile Banking in Egypt. eBSEG™ Customer Experience & Engagement Omnichannel Platform CEEP™ platform has been created around customer-centric design principles and delivers ubiquitous digital experiences, true build once deploy many architecture, across multiple devices and customer touchpoints. Credit Agricole Egypt was selected based on various criteria: among which was a very important one related to their platform of choice eBSEG™ CEEP™: web/mobile site design and functionality.” Category winners, such as “best in mobile banking” were selected based on the relative strength and success of those products and services” according to Global Finance. eBSEG™ has been selected as Omni channel solution Partner for Credit Agricole Egypt branch since April 2016 and ever since eBSEG™ has been consulting, designing the solutions and implementing the bank's highly agile plans to implement their Omnichannel platform through the eBSEG™ CEEP™ Omni Channel Technology. It was remarkable how serious the bank and how keen it was to reach the highest level of perfection to provide the highest levels of Digital Banking Services for the users of all digital channels from the bank customers. This aggressive agile plan of Credit Agricole coincided with eBSEG platform CEEP™ technical capabilities and architecture to implement this type of technology using a unique design and implementation methodology that has been patented by the United States Patent and Trademark office USPTO. It is worth mentioning that eBSEG CEEP™ Omni Channel Technology has also been a winner of Best Mobile App three years (2015, 2016 and recently in 2018 too) for its Mobile Banking Solution for Bank Saudi Fransi. Commenting on this award, Amr A Soliman, CEO eBSEG™ said: “We are proud to be recognized as the technology partner, and digital transformation consultant to Credit Agricole Egypt and honored that our client has been selected by Global Finance in two of its categories as most innovative digital bank and best in mobile banking. This 2nd category award is a recognition of our patent platform eBSEG™ CEEP™. Our partnership with Credit Agricole Egypt gave eBSEG™ the opportunity to even take our CEEP™ platform to the next level as both parties were seeking perfection and perfection we had”. He continued: “It is also with the great vision and leadership of the Credit Agricole Egypt Business and Technology teams and the achieved levels of service to attract, retain digital users, breadth of CA product portfolio, convenience and confidence for digital users that CA team managed to win such prestigious awards”. The CEEP™ platform/patented approach consists of a set of tools for designing, building, testing, debugging, integrating, deploying and managing consumer and enterprise apps. 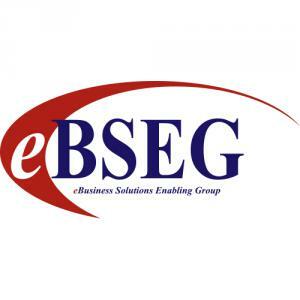 eBSEG Inc. founded year 2000. A software company focused on platform technologies and Omni Channel customer engagement. We are committed to leading the change globally by helping Financial Institutions serve up amazing customer experience interaction. Our platforms enable organizations to create, manage, and optimize secure Omni-Channel customer interactions and best of all, our platforms are intended for Business Marketing teams that demand agility and flexibility. After years of research and development, we have created the most agile and flexible C-customer E-experience E-engagement P-platform available in market, its name is CEEP™. Crédit Agricole Egypt is a subsidiary of the Crédit Agricole Group, a market leader in Universal Customer-Focused Banking in France and one of the largest banks worldwide. With operations in around 50 countries, Crédit Agricole Group seeks to serve the real economy by supporting its clients’ projects in all areas of retail banking and associated specialized business lines. Emphasizing its values and commitment, Crédit Agricole Group is the bank of common sense. It puts the satisfaction and the interests of all its customers, employees and shareholders at the heart of its activities.